National Dental Care is an Australia-wide network of dental practices, with one goal: to set the benchmark in providing the best available oral health services in the country. 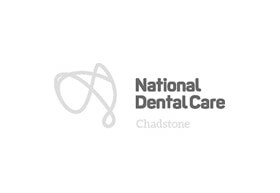 At National Dental Care Chadstone, a team of highly experienced dentists, therapists and hygienists operate in a relaxed and modern space, catering for everything from simple check-ups to teeth whitening and cosmetic dentistry. From the moment you book an appointment to the time your treatment is concluded you will notice the National Dental Care difference. We have put a lot of thought into how we can change the way Australians think about going to the dentist: so we’ve developed our practice with you at the heart of everything we do. Patient Payment Plan – SmileFund learn more here. HICAPS facility available for on the spot claims. Child Dental Benefit Schedule (CDBS): we are proud supporters of the government CBDS for eligible Australian kids of up to $1000 free dental every 2 years. Easy Online Bookings available on our website for your convenience here. Be your best you! Invisalign® for only $5995. NO GAP, check up and clean. NO GAP for patients with eligible extras dental health cover or $199 for non-health fund patients - terms and conditions apply, see practice.